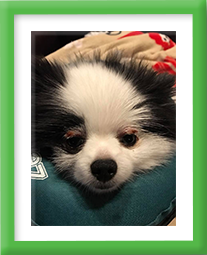 Niki, a middle-aged, female spayed Pomeranian, was brought to Dr. Bohrer and Dr. Berg as a puppy suffering from life-threatening illnesses. Niki presented severe signs of inflammation, suspected to be due to an allergic or hypersensitivity reaction. She was lethargic, had a lack of appetite, was itchy and uncomfortable around her head and neck, and had swelling and large ulcerations on her eyelids. Laurie, Niki’s owner, reported that the lesions appeared overnight with no history of trauma. Additionally, Niki had a markedly enlarged lymph node near her jaw, which created swelling in her right cheek. Dr. Berg, Western Medicine practitioner, performed a blood and allergy profile on Niki. Niki was also anesthetized, and the right jaw swelling was biopsied. Dr. Berg prescribed Niki antibiotics and a course of allergy / anti-inflammatory medication, with the suggestion that she may need to stay on some form of allergy medication depending on the severity of pollen levels in the environment and Niki’s sensitivity to them. The bloodwork showed a severe inflammatory response, with the biopsy supporting this conclusion as well. The allergy profile also revealed that Niki was hypersensitive to several environmental allergens, as well as some food ingredients. On top of these symptoms, Laurie was also concerned that Niki wasn’t eating well, and reported that she was excessively thirsty. While Niki’s lack of appetite was likely secondary to her discomfort from her inflammation, Dr. Berg thought an Eastern Medicine consult with Dr. Bohrer might help, as Eastern Medicine can offer additional therapies for chronic inflammation and allergies. 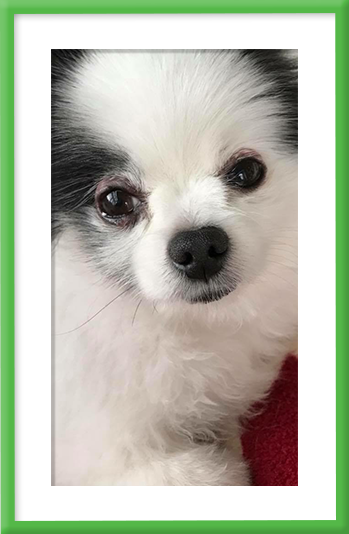 Dr. Bohrer reported that from the Eastern Medicine perspective, Niki’s skin allergies were caused by a Spleen-Chi Deficiency. In Eastern Medicine, the Spleen is the organ of digestion, similar in function to the pancreas. Bohrer reported that Niki also had secondary Blood Dryness, causing the dry scabbing lesions on her eyelids. As an Eastern Veterinarian, what concerned Dr. Bohrer most with Niki was her diet, as she was on a prescription dry kibble diet. Bohrer emphasizes that poor diet, along with chronic stress, are the two main contributors to Spleen Qi (Chi) Deficiency, which caused Niki’s allergies to flare. Dr. Bohrer knew that a whole food diet would strengthen her Spleen Qi, improve her allergies, reduce her weight and improve her appetite. In accordance with this, Dr. Bohrer talked through the pro-inflammatory properties of processed kibble and suggested that Laurie begin cooking some cooling foods for Niki. 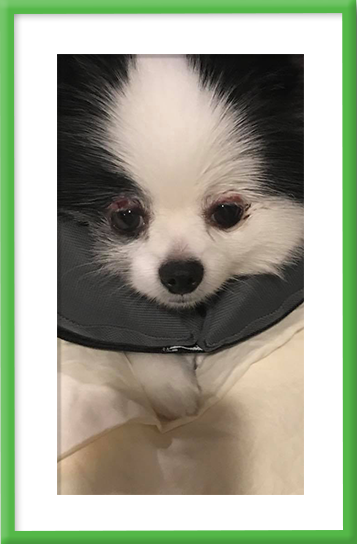 Dr. Bohrer and Dr. Berg were able to help Niki make a more complete and sustained recovery from her allergies and inflammatory response. However, while adjusting Niki’s diet was integral to her improved health, it was not always easy or convenient for Laurie to cook and prepare the ingredients properly. With Laurie being a restaurant entrepreneur and having a deep love for her dogs, Dr. Bohrer, Dr. Berg and Laurie began talking about cooking commercially for dogs based on Eastern Medicine. This is how Chi Dog was born. 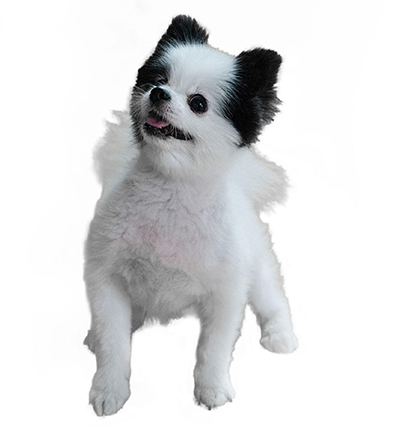 Today, as the face of the company, Niki’s health is thriving, and she loves her Chi Dog diet. Shows you what a little 6-pound Fire Dog can do! 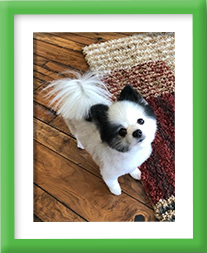 If you would like to follow along with Niki’s journey of vibrant health, vitality and as the face of the Chi Dog brand, you can do so on her Instagram and Facebook pages.